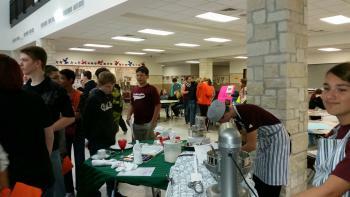 On March 2, THS held an Elective Fair for all current 8th grade students. The Elective Fair is held once a year and gives the students a chance to tour THS and learn about some of the choices in electives and clubs/organizations that they will have for their upcoming freshman year. 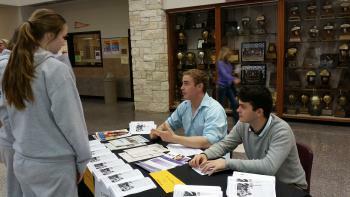 Students received information on Dual Credit and AP courses, athletic choices, Student Council, HOSA, Principles of Hospitality, Cheer/Drill team, Band, International Club, and a host of many others.